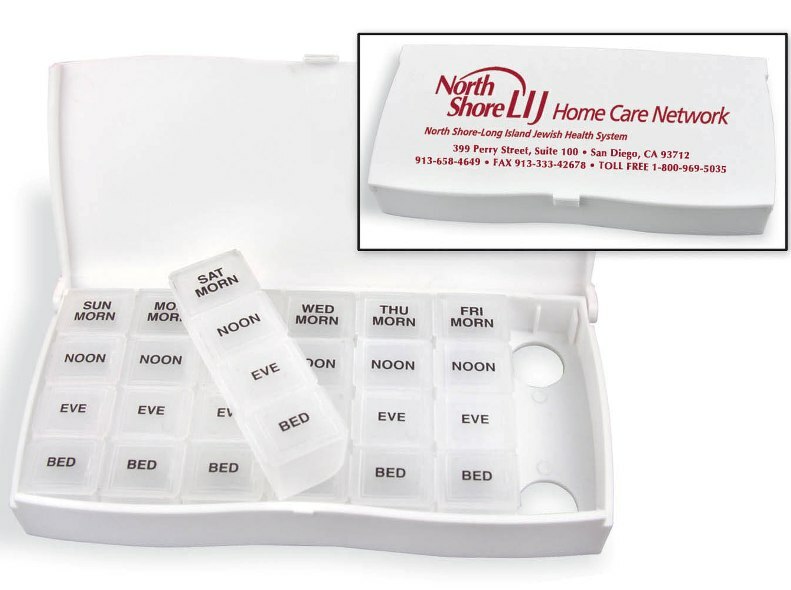 Pill Organizer keeps medication secure and clean while displaying your logo. Applications include home health, hospitals and travel related promotion. Features are quality plastic case with 28 compartments & a hinged lid. Overall size is 6 3/8" w x 3" h x 1" deep. Each box is polybagged. White case with 7 translucent removable pill compartments. Price includes a one color imprint on the top in area 5" w x 2" h.